Special Offers and Rebates for Home Improvement in Phoenix, Arizona and Statewide. Only $40 for each additional unit. Stay cool this summer! 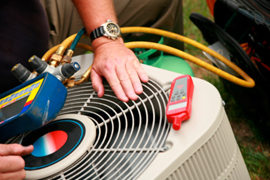 Take this opportunity to have your air conditioning unit inspected by a licensed, qualified contractor before the summer heat is here. Click for details. Call to set an appointment with a contractor at 602-248-7767 before this great offer ends. to set an appointment with a licensed shade screen contactor. Shade screens are an affordable and preferred way in Arizona to prevent heat gain from the sun coming through unprotected windows. This raises temperatures in the home, making AC equipment work harder to cool the home thus increasing energy usage and electric bills. More details on shade screens.